NPR on those DNA test kids and why the results sometimes surprise us. The real story of Milli Vanilli that you didn't know you needed to know. Wow.. 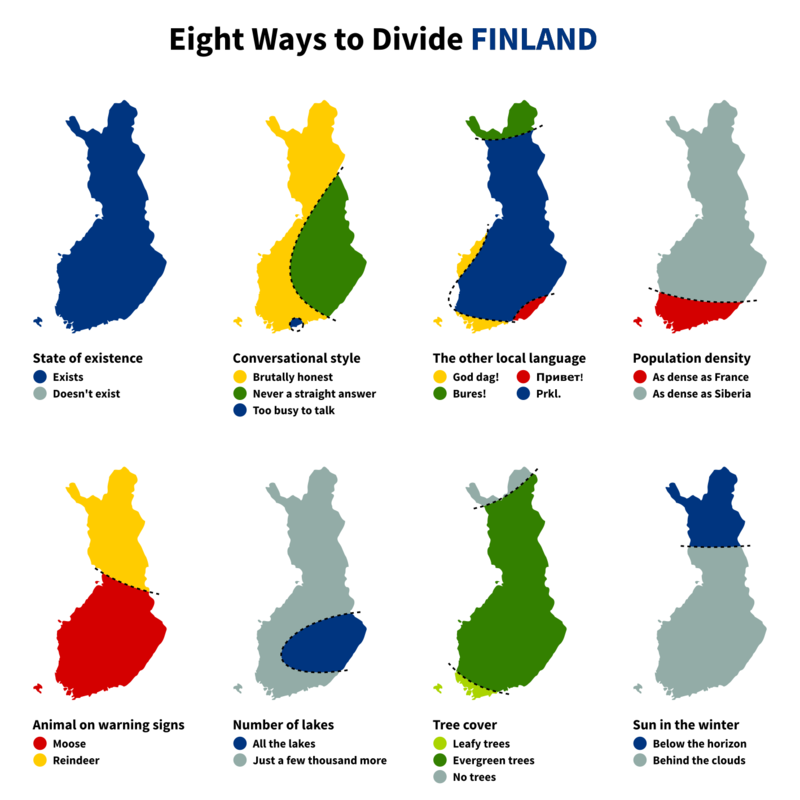 Eight ways to divide Finland! The first map is a reference to the conspiracy theory that Finland does not actually exist, a theory that my kids find to be so hilarious. "Mom, mom, tell us about why some people think Finland doesn't exist!" They love it. Ismo Leikola has a hilarious comedy bit about the Finnish word 'no niin,' and now he has a bit in English about one of my least favorite words, a**. I hate that word so much - the vulgarity of it, even the SOUND of it - but...dude has a point.